An inn in the most unlikely of places. Izumi-no-ie is tucked away on a spacious site away from the noisy main streets and close to the ocean. 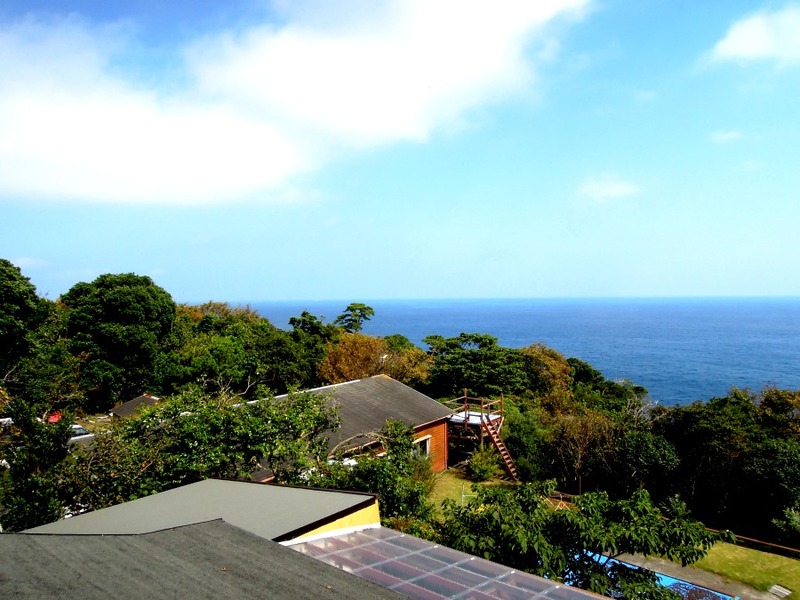 The rooms and public bath come with an ocean view, and you can watch not just the sunrise, but moonrise as well. Complete with a small chapel (but not limited to Christians), nature lovers from all around the world are attracted to this place. With barbecue and campfire at night, Izumi-no-ie is a place that brings together all the magic and charm of Izu Oshima island into one place. A 25 minute drive from Motomachi Port or 15 minute drive from Okada Port. Izumi-no-ie is located in front of Toritsuoshima Park Zoo. From the main road, drive through trees towards the ocean for 5 minutes to arrive at a large open space with multiple bungalows and a chapel. The ocean right in front of your eyes, there’s not a noise of the outside world. All you hear are the sounds of waves and the trees swaying in the wind. Izumi-no-ie has a truly splendid atmosphere. The property is managed by a Protestant pastor of the Ito Christian Church. That said, the place is open to visitors of all faiths. 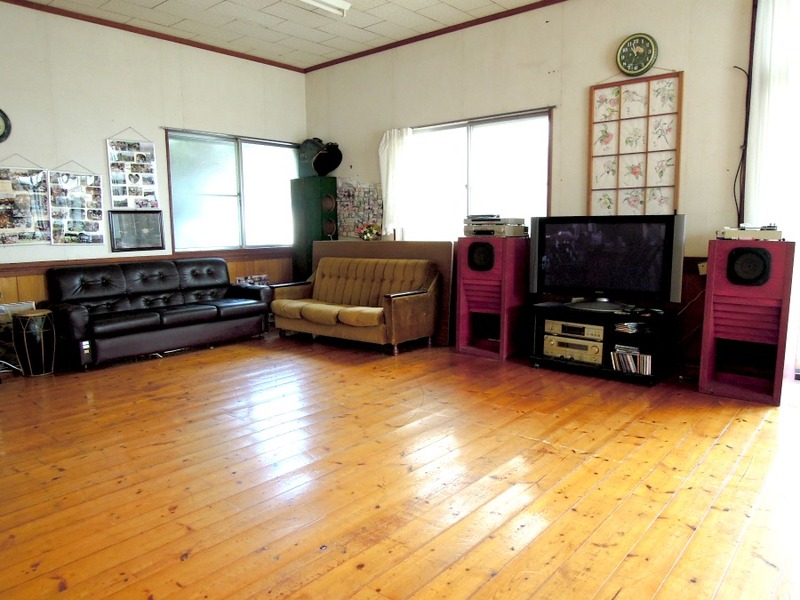 There are 6 Japanese tatami-floored rooms, with a total capacity of about 30 people. 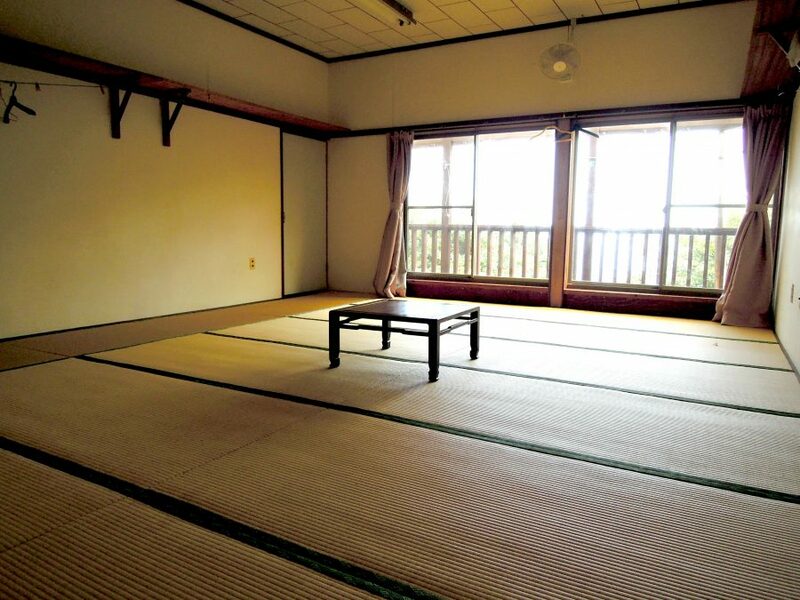 If you prefer, it’s also possible to have a bed set up on the tatami floors. 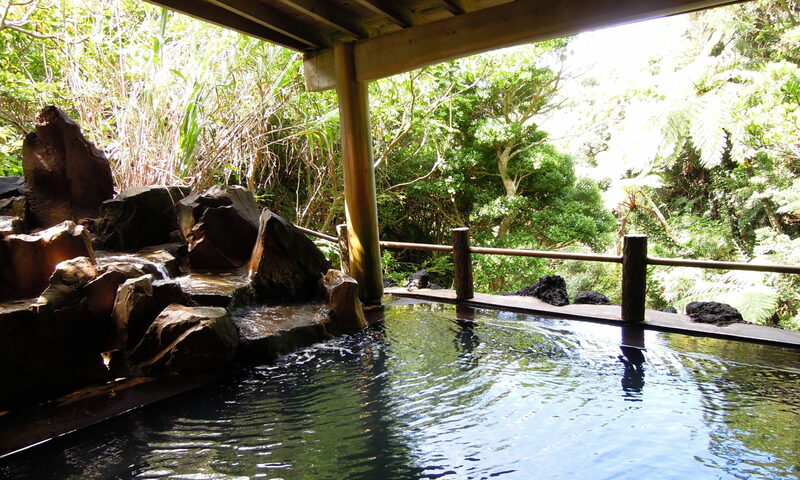 One of the features of this place is the scenic view from the public bath. 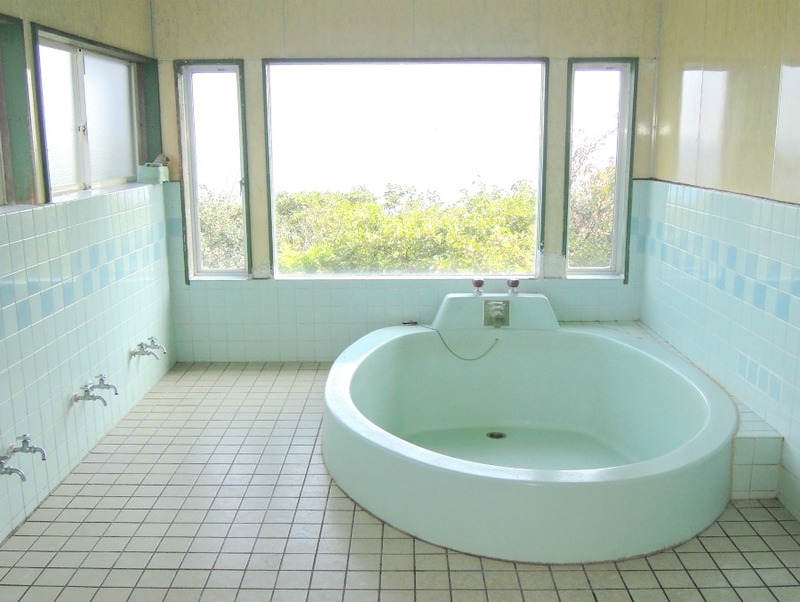 You get to enjoy a fantastic view of the ocean as you bathe. 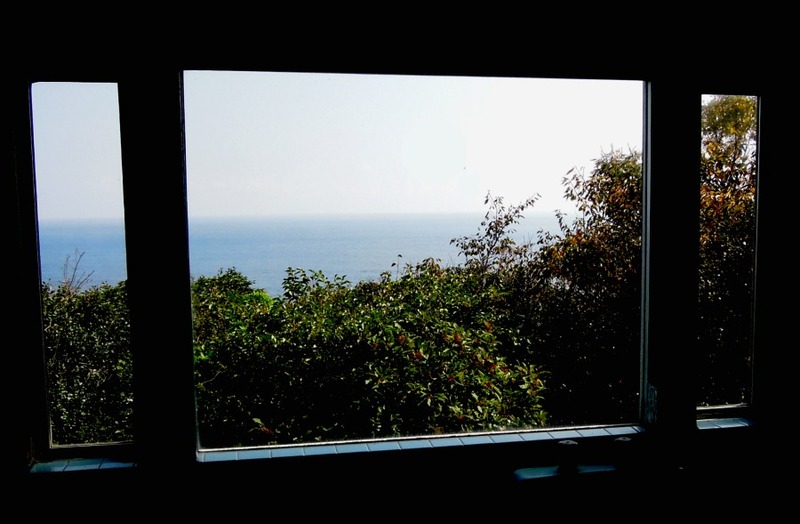 The view of both forest and ocean in front of the large window of the bath is truly something. In the morning the sun rises out of the ocean, and at night the moon. But that’s not all that is wonderful about Izumi-no-ie. What’s great is that you can watch both the sun and moon rising out of the horizon on the ocean. 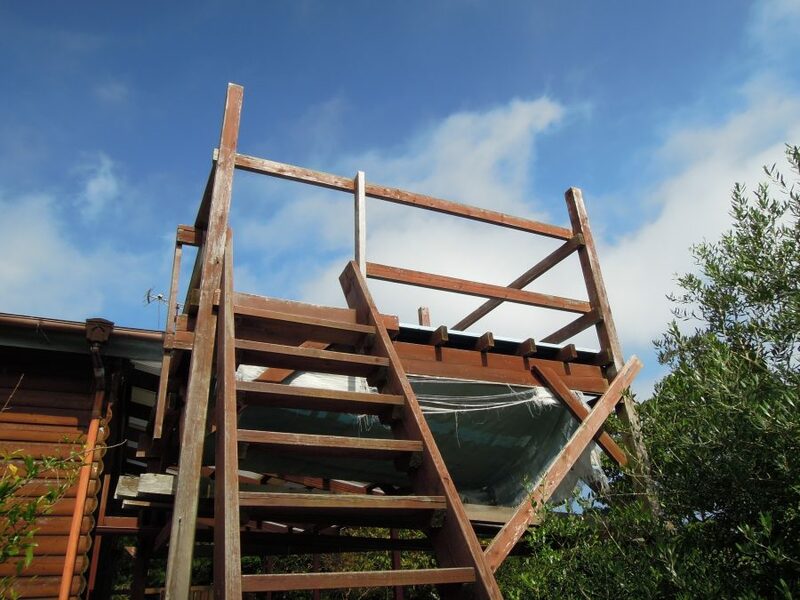 There’s a deck built on site for a perfect view of either, but it’s also great for gazing at the infinite number of stars in the night sky. The owner of Izumi-no-ie is an outdoors expert who used to work at Camp Forest Springs in Wisconsin, USA. He’s an expert in outdoor activities that combine the best of nature with fun. Which explains why there is a place to build a campfire. Surround the fire with your friends and share stories under the starry night sky. Just one example of the memorable experiences to be had at Izumi-no-ie. For dinner, you can have a barbecue or, you may get to try their pizza baked in a woodfire oven topped with Oshima’s delicacy, Kusaya, a fermented, salted dried fish. Surrounded by nature, enjoy the camping-like experience. 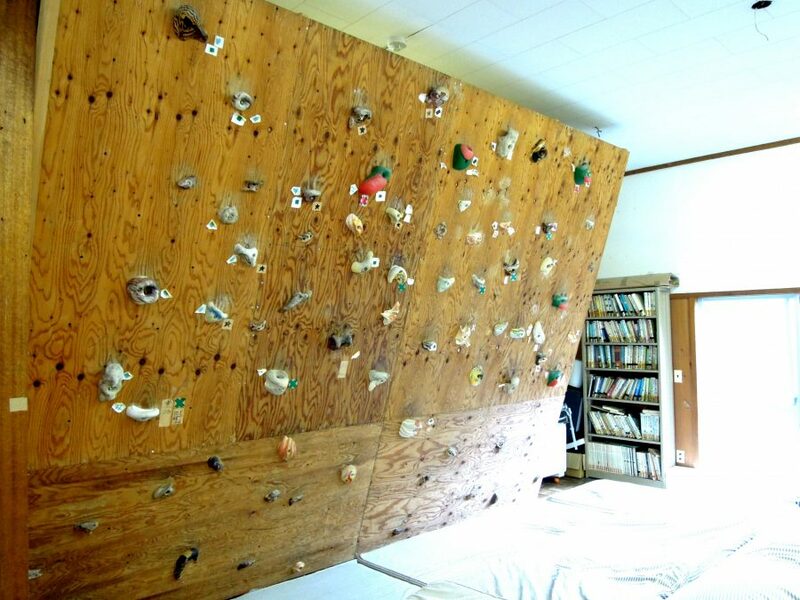 There’s a rock climbing wall and ping-pong table in the chapel, so even on rainy days there is always something to do. Everything is thought through so guests can have fun. The place is great not just for fans of camping and outdoor activities, but musicians as well. 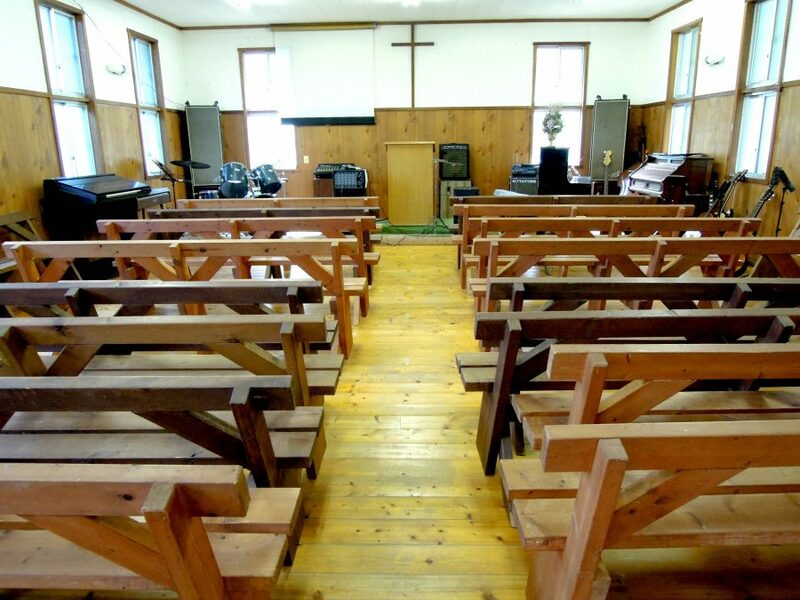 There is a drum, piano and guitar set up in the chapel, so it’s not uncommon for guests to start jamming, and before you know it everyone’s bursting into a song. There’s another piano in the large hall that doubles as a dining hall, so you can relax on the sofa and doze off to the sound of your friends playing on the piano. Prayers before meals. No smoking and no drinking. The place may be run by a pastor, but that’s not to say the place is bound by rules. 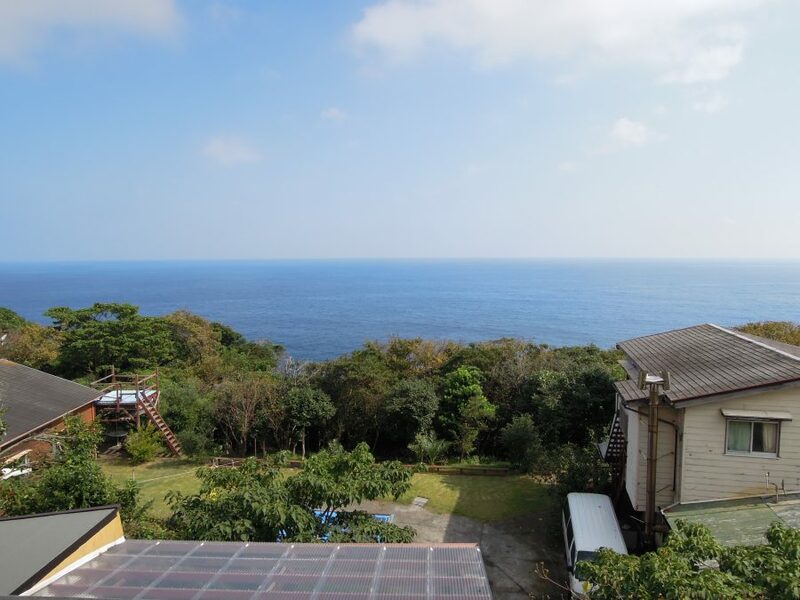 The goal is to help guests make the most of Izu Oshima island with his deep knowledge of the island. That said, drinking and smoking is not allowed on premise. In addition, there are prayers before each meal to give thanks to the meal on the table and appreciate the nature of Izu Oshima island. Breakfast and dinner is included in the stay, but for those who want lunch prepared as well, just call ahead and they will provide a bento box. A place that allows both mind and body to appreciate the wonders of nature. A great stay for anyone who wants to experience 120% of what nature has to offer. Camping allowed. Please let us know in advance. Breakfast and dinner included. Let us know in advance if you wish to have lunch provided as well. Service can be held upon request. Let us know in advance. Let us know if you have any special dietary needs. Alcohol and smoking is not allowed on site. We do not provide alcohol and tobacco. The site can be booked for training camps. We can introduce you to guided mountain bike tours. Let us know in advance. Please bring your own bike. to make a reservation, send an e-mail to here. 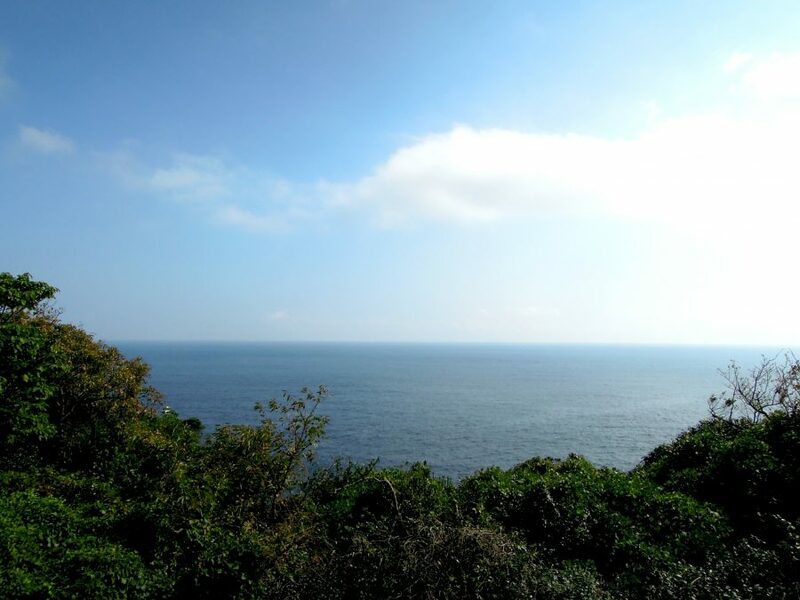 Pingback: Oshima Island's Perfect Guide - Explore Izu Oshima today! Next PostNext Make your own Tsubaki oil!